With all of the discontent with the establishment in Washington, this should be a time to reflect on the type of government we have and why it works the way it does. We should also reflect on the reasons our government is set up the way it is. Far too many people have abdicated their power and let the government run free of the constraints initially placed on it and we are now paying the price for that lapse of judgment. A young child may not understand or care about the repercussions of health and tooth decay and when allowed to run free in a candy store can do a great deal of damage to himself if it is allowed to continue every day for years. These repercussions will be felt by the child over time but will also exact a price from the parent in medical costs and disrespect to authority over time. We as a country have let the public servants run free for so long that they now consider it their right to do as they please and we will have to pay the price for it. Our nation was set up with checks and balances to insure no one branch would get out of control. Each branch, Executive, Judicial and Legislative, acts as a regulator on the other branches and stops any blatant abuses of power before they cause irreparable harm to the nation. At least that is how it is supposed to work. But, what happens when the three established branches of government are all corrupted and act in unison to usurp power and take actions that will ultimately cause great harm to the nation and its people? A free press has been considered the forth branch of government because it has the power derived from the First Amendment, to illuminate government abuses and act as a call to arms for the citizens to utilize their First Amendment rights to restore order to the three branches. Through the use of the freedom of the press, the press can act as the collective voice of the country and demand change. In a perfect world, the government servants would succumb to the overwhelming vocal opposition of the press and adjust accordingly but what happens if they ignore the press or worse, the press becomes infected with the same disregard for rule of law as the government? When the first four branches fail, it is incumbent on the fifth and final branch to make the necessary corrective action. A free citizenry is the fifth branch of government and utilizing the freedom of speech and the freedom to assemble, can exert coercive force on the government to keep it in line with the founding principles. These are the peaceful actions that a populace can take to reign in government abuses and restore law and order to government operations. The population can make known their grievances with their elected representatives and threaten to replace these persons in an upcoming election if they fail to comply with the will of the voters. This is how the Republic functions in normal times, but we are no longer living in normal times. When the citizens express their discontent with unresponsive elected officials they are now offered a choice of two or three candidates selected by the establishment. When they seek to address their grievances with the court, it usually sides with the government. When new laws are enacted, they now favor large banks and corporations rather than the taxpayers. The media has been indoctrinated into the government fold and to a large degree repeats the government propaganda. The government has even resorted to establishing areas where free speech and protesting is no longer allowed all in an effort to eliminate the coercive effects of the population. When the citizenry fail to coerce the government by all peaceful means, it falls to the final option relegated to the citizens of a free state, and the Second Amendment is invoked against the government. This is the one and only meaning of the Second Amendment which is much maligned in the press and by the government. It is the final means by which a populace can regain control of an oppressive government that has abused its power and uses excessive force against the population. When a government decrees that it can detain and imprison citizens without charges or trial, spy on private communications without cause, restrict movement of wealth and citizens, treat the traveling public like criminals and debase the nations currency, it has proven itself to be an impediment to freedom and must be removed by the fifth branch of government utilizing the Second Amendment and final option. This is not an option to be taken lightly by the population but will become necessary at some point if trends continue along the current path. The fifth branch of government is the final arbiter in the maintenance of liberty and freedom. It is for these reasons that an oppressive government must restrict or eliminate arms from public hands in order to carry out oppression to its natural ends in the form of a total police state where there are no rights for citizens who are ruled by an oligarchy. Many of those who are repulsed by the former exercise of slavery are now unknowingly selling themselves and their progeny into that very thing with total ignorance. The fifth branch of government and our Second Amendment rights are the only things standing between a free and prosperous nation and a poverty stricken third world nation with a dictatorship. History can be a harsh teacher. For those who fail to learn history, the future can be a menacing and tragic place to live. The capital was lit and the Congress sang a ditty. I must find it now, this very night. Oh my, a tax cut, what a horrible sign. The children need shoes and the teachers a raise,. My poodle a pedicure, and my garden a new maze. We must stop them now, make them jump through our hoops. Now Waters, now Rangel, now Frank and Woolsey. Bring them all in, I want a quorum call. They can’t mess with the Chicago mob. We’ll end this talk, then head out to dine. The fundamental shift was going their way. Had just fallen asleep for a long winters nap. He reached for his blackberry and teleprompter too. What do I say, these are all bad signs. Just tell Nancy, I’m in the shower. I’ll call her back, now get me Jarrett,. She’ll know what to do, to her good merit. It was guaranteed, to make Boehner cry. Blow something up, what do we care. Confuse them with language, until we’re set. The city outside was becoming a mess. And a predator drone crashed in a tree. Called Abdul a conservative, and used him for bait. That sounds good, the normal party line. Progressives don’t care what those people say. We can’t cut now, we’re under attack. We must lock them up, get rid of their kind. And make those Republicans sing the blues. As Bachmann exclaimed, they voted for me. Pelosi said, with a smirk and some glee. We’ll call it a draw, and this debate will be shut. He said it’s just not fair, as he wiped the tears with his hand. He couldn’t win reelection, without the tea party vote. This woman was smart, for a demon that could fly. He yelled, I’ll see you next year for the next budget fight. When nations rise from the morass of discarded ideas and congeal into something special, they have the ability to mold and temper history. The men who live in these times are witness to great things that live only in another realm. The birthing of great nations is an ongoing process. As with any process it eventually comes to an end. Nations can only live and thrive when the men who act as the custodians of the nations trust are diligent and dutiful. When this trust is broken and the custodians allow the morality and social norms to decay, the lifespan of the nation becomes a countdown to oblivion. No nation that becomes morally bankrupt can sustain the years without the eventual collapse of the society. As the morality degrades, the crimes men commit against one another increase. They not only increase but they get more violent and heinous in nature. A case in point is the recent school shooting where 20 children were murdered. The liberal press was quick to denounce this senseless killing and blame it on the gun culture in this nation. There has been a gun culture in this country for over 400 years but it is only recently that mass shootings are a problem. Sixty years ago a person could buy a gun through the mail with no background check. People had more access to weapons then than they do now. So why didn’t we have a problem with mass killings back then? Automatic weapons have been around for 100 years, so the weapons are not that different. Something is different though. Today’s society is the most heavily drugged and morally bankrupt generation in American history. Many of the drugs now prescribed have been found to invoke dangerous behavior in otherwise normal people. Many of the people that show outrage at the recent killings will gleefully tout their pro choice stance that has helped to kill millions of unborn children. To many of these people, the murder of innocent children is only an outrage when it can be used for some devious designs. Dozens of kids are killed every week in “gun free” Chicago with little or no mention in the national news. Murder is ok as long as it serves their purpose. To those that no longer have a moral compass to guide them, this seems a logical way to view the world. With no moral compass to guide them, a nation will tear the flesh from its own rotting body and revel at the pretty colors as they bleed to death. The nation will succumb to insanity and chaos until there is no flesh left to claw at. This is how a morally corrupt nation dies. When a nation dies in this manner, the morality that still exists will be attacked by the insane as the cause of all the ills. The insane and morally corrupt will seek out and destroy this last bastion of reality in the desperate hope of saving themselves. Those last bastions of morality can not stop the decay and destruction until the nation has run its course. Their only hope of regaining the upper hand is to survive the decay with their morals in tact and hope for the chance to rebuild the nation. This process will carry the nation to unknown depths of deprivation and pain. It will end somewhere on the plains of apathy and despair among the morass of broken promises and ideas. When nations die they end much like cloudy days, with no discernible sunset, no specific moment between light and darkness, just a dim glow that fades away into obscurity until nothing remains. This can be a time of rebirth or oblivion. What Is Power and Why Should You Care? The ability to lead a group or population is either based on respect or fear. The ability to make someone do what you want is the power to coerce them. If a husband wants to buy a SUV and a wife wants a 4 door sedan the husband may coerce his wife by telling her the benefits of the SUV over the sedan. If he is successful, they will end up buying the SUV. If a parent wants their child to rake up all of the leaves in the yard they may offer a monetary reward for doing the job. These are ways to coerce people by subtle means that they may go along with. When the subtle acts of coercion do not work then the person may resort to more forceful actions. The husband may tell the wife that he is the one paying for the vehicle so he will decide which one to get. This may bring repercussions but if the husbands’ power is greater than the wife’s, he will win the discussion. If the teen refuses to rake the leaves they may be threatened with the loss of the family car for the weekend. As the need for coercion escalates, the potential for more forceful action will increase with it. When a person wants to coerce a larger group of people, they may resort to using fear as a form of coercion to get their way. When one person can coerce ten people to follow them, and those ten can coerce a hundred by fear to do as they are told, and those hundred can coerce a thousand more, it makes it possible for one to rule many. If you are one of a group of a million that is coerced to do as you are told by a smaller group, then the person at the top has power over you. This person cannot coerce the larger group all by themselves. They require others to project this power down to you. This is how a government works. The government at all levels coerces you to get you to do the things they want you to do. The power to coerce is the power to control. They use fear to control the larger group. Fear of getting a speeding ticket, fear of not paying your taxes, fear of not complying at the airport. The government can use fear to force you to act contrary to what you may perceive as being right and just. This can only happen if those at the lower levels are willing to enforce the will of the government. If the police in a county are reluctant to enforce the laws as directed by the government, the government loses some of its power. If these same police are not only reluctant but directly reject and forbid the enforcement by the government it becomes a much larger problem for the government. When one group that is coerced frees itself from fear, it can spread to other groups. This can erode the power of a corrupt government and they will eventually lose their control over the people. This is the one thing a corrupt government truly fears. When a population no longer can be controlled by fear the only thing left is actual brute force. This requires the government to have the ability to project overwhelming force. As the U.S. Military is apt to say, you cannot control the battlespace without boots on the ground. This means the government cannot control individuals unless they have sufficient manpower to control every square foot of territory under their control. This is the Achilles heel of any government. The lack of manpower by the government can make their laws and regulations unenforceable. What does this mean for individuals? An individual is only free when they have no fear of unjust government force. The more individuals that reject oppressive government force, the less power that a government will have. The less that government is able to project and enforce its will in an area, the more freedom that will be present. It is to the benefit of all free people to ensure that government has a minimal amount of enforcement capability and coercive power in the local community. Keep in mind that coercion can go both ways. Those most easily coerced are the ones closest to you meaning the enforcers of government at the local level. The people in the capital may not care what you say or do because they are out of your reach to some degree but those at the local level live among you and have to face you every day and you know where they live. You have the opportunity to coerce the local enforcers to your way of thinking. When all is said and done, it comes down to who these government enforcers are more afraid of, you or the government. Even if these government enforcers will not join you, if they will not enforce the governments will, you have still won. At some point in the future, it will come down to the local populations all across the nation to roll back the governments power. When the population no longer fears the government and the government no longer has the ability to enforce its will nationwide, liberty will prevail. Those in oppressed nations may see the government forces as too big and powerful to face but you do not have to face them all at one time. It is much easier to defeat small groups one at a time than the whole army at once. This has been proven over and again many times in history. When a problem is huge, break it down into pieces you can handle and keep working on it. Ultimately, oppression and control is about fear and brute force. This is power. When a person no longer fears either of these things, great changes can occur. Theodore Roosevelt once said, “Far better it is to dare mighty things than to take rank with those poor timid spirits who know neither victory nor defeat”. One persons’ power is another persons’ fear. True leadership is a matter of collective will through respect for the leader and his abilities. Always remember, coercion goes both ways, so choose your battles wisely. Winter is a time of decay and destruction to make way for the coming renewal of spring. Those who fail to prepare for the winter can have a difficult time getting through it. Each season has its’ differences but winter is by far the harshest. Every season has a role to play in the cycle of life. Strauss and Howe explain the four seasons of human cycles in The Fourth Turning. As it is said, history does not repeat, but it does rhyme. The reason for this are the four cycles we continuously go through. History bears this fact out all too plainly for anyone who cares to look. We are now in the winter season of the current cycle. This cannot be changed. The generation, born between 1964 and 1984, are the Nomads, the ones with the survival and leadership skills to lead the way in the winter season. This is how it always is. If they play their roles well, it will usher in a new golden age, like the High we experienced after WW II but if they fail to step forward and do their part, we could begin an era of darkness. The future is not written, but will play out based on human actions that are somewhat consistent. We must not ignore the cycles and prepare for the trying times ahead. Strauss and Howe explain how human cycles always culminate in the winter season and move us through the gateway into the next cycle. The winter season is a time of hardship and danger. It is a time of crisis. The American Revolution, the Civil War and The Great Depression/WW II were all winter seasons. Each winter season culminates with a great war and this one should be no different. During each of these wars, the newest and most destructive weapons in existence were used to achieve total victory. With the weapons we now posses, this could make this cycle the most deadly to date. Something noticeable about these three wars is that each was worse than the last. The culminating wars are not the only thing we have to fear in the winter season. The social, political and financial currents that flow through society will be in upheaval as well. As Strauss and Howe have said, you should prepare for the winter season as if it were a winter blizzard that will last seven years. There is still time to prepare for the coming winter cycle but time is short. Using the Great Depression/WW II as a guide but assuming it will be worse this time will give you an idea of how to prepare yourself and your family. 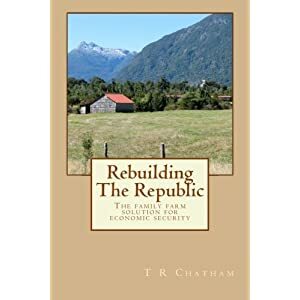 In The American Dream Lost and Rebuilding The Republic I discuss some ways to shield yourself and your family from situations like we are about to face. Those that go into the future with their eyes open and armed with the knowledge of history will be in a position to mold their futures and that of their children. This Fourth Turning is expected to end around 2025 so you should plan accordingly. The bulk of the crisis should be seen between now and 2020. Another aspect of the two previous winter seasons is the fact that personal liberties and freedom were substantially decreased each time. This winter season could see the final slide into dictatorship or the rebirth of freedom, depending on the will of the people. How the people react to the coming crisis will be the determining factor. The plans you make now will determine your future and that of your children so due diligence should be taken. As with a winter storm, you should plan for all aspects of this season. You want to insure food, shelter, clothing, energy and medical resources are available to weather the storm. These are not the only things to concern yourself with. With the passing of winter you need to insure you have the resources to begin the new spring. The seeds to begin anew may be actual seeds, property, gold or silver or equipment to produce the needs of people. The spring should be a time of prosperity and new beginnings so insure you are prepared to take advantage of it. This is something that each and every person must do for themselves. Armed with the knowledge of history, our future will be what we make of it. Those that understand The West Line and the cycles of history will have a better understanding of the world around them and will have some idea of the changes to come and the actions they must take. For a prolonged situation where you may need to produce your own fuel, a wood gas unit may be the best answer. With one of these units you can turn ordinary wood into flammable gas that your generator motor and even your car can run on. One way to get around the need for a generator is to use your vehicles charging system as a power source. You can mount a few deep cycle batteries in your vehicles trunk and connect them to your charging system using a battery isolator to keep your vehicle battery separate from the battery pack. Every time you drive your vehicle you will be charging up the battery pack. When you have a power failure, you can simply connect your power inverter to your battery pack and supply your home with limited power with no noise and no exposure of your power system to others. This is one way to avoid some of the problems with a generator that sits for prolonged periods of time and may not work when you need it. If you utilize this type of system, you will still need extra gas for running your car every day to keep your batteries charged up. This type of system is not as efficient fuel wise as a small motor but may be a viable option for someone in the city An advantage of this system is the ability to use a wood gas generator to power your vehicle for prolonged periods when fuel is not available otherwise. You can have a transportation system and a generating system all in one powered by renewable fuel. This type of setup would work well with an old pickup truck. If you have a flowing stream on your property you may be able to use a hydroelectric system for power. Depending on the flow rate and head pressure, even a micro hydropower system producing 100 watts continuously can produce a great deal of usable power. The benefit of using hydropower is that the water flows day and night and is not dependant on the changing wind. The only problems you may encounter are drought cutting off the flow of water and freezing weather in your location that may stop the flow of water. These are problems you must evaluate before you decide to go this route. One newer type of power source that has not taken off yet but I think will in the coming years is the thermoelectric generator. This is a unit that converts heat directly into power that you can use or store in a battery. Small units are now available that you can sit on top of your wood stove and connect directly to a 12v battery to charge it. You can even buy the thermoelectric modules individually and assemble your own higher output generator. For someone living off the grid I think this is a perfect fit for solar, hydro and wind systems. The thermoelectric generator can provide the extra power you need to supplement solar and wind without a lot of generating equipment. You will be producing power by using your wood stove as you would any way. When fully developed and marketed these systems will drastically change the way we use power. One of the problems with off grid power is having continuous power. A generator is not efficient for producing continuous power for individual homes so a method of storing power for use on demand is needed. The most readily available source is a battery pack. The use of several connected batteries can provide for your power needs. Lead acid batteries are the most common in use today and are efficient storage devices. Deep cycle batteries are the preferred type because they are designed with heavier plates that can handle repeated discharge cycles. Even so, it is not a good idea to discharge them below 50% and discharge below 20% can actually damage them and reduce their service life. These batteries need to be kept fully charged when setting to maintain service life but will still have to be replaced about every 5 or 6 years. This should be taken into account when designing the size of the system you will need. These types of batteries can be stored for many years in a dry state for future use and can be filled and charged when needed to replace older batteries. A second type of battery that is good for off grid use is the nickel-iron battery. This type of battery was designed by Thomas Edison and has some features that make it superior to lead acid batteries. A nickel-iron battery has a service life of over 50 years and some have been in use for 100 years. They require a change of electrolyte every 10 to 20 years which makes the battery a long term solution for someone that stores extra electrolyte. Another good aspect of these batteries is that they are very durable and can withstand overcharging and will not be damaged by complete discharge or setting in a discharged state for long periods. The negative aspects of this type of battery are that they must be topped off often with distilled water that boils off during charging and they are not as efficient as lead acid batteries. Another way to store power is by having a large volume of water stored in a high area that can be allowed to flow down hill to a second storage vessel and power a hydroelectric generator. Some large utilities have used storage devices in the past like this. The excess power being produced by power generators was used to pump water into the higher storage vessel and was used to produce hydro power when they needed extra power. For a homestead that produces a lot of excess power with a generator using homemade fuel, this might be a way to store this extra power for later use. For someone with a small stream they wish to use for power, they might want to store some of this water in a pond or behind a dam to increase the amount of power they can produce. For those that rely on a battery pack, a power inverter to convert the 12v DC into 120v AC will be necessary. Keep in mind that your inverter will need to be larger than the amount of power you intend to use. For items such as refrigerators, the compressors will draw about twice the rated power when they start. This means you may need to use an inverter with a surge capacity of 1,500 or 2,000 watts for units that run on 500 or 1,000 watts. This is one reason you need to evaluate the appliances you intend to use to allow for the proper size of battery pack and inverter size. For someone that is planning on long term self sufficiency, one of the problems they will have to address is the need for replacement parts for their equipment. With a motor and generator, you have a number of parts that will wear out or burn out over time. By simplifying your system you will reduce the need for parts and the number of possible breakdowns over time. One way to simplify your system and make it more durable is to use a steam engine for power. A steam engine has a minimum of moving parts and can utilize wood or coal as a power source. A well built steam engine and boiler can last many years and allow for homemade parts if necessary. This will require tools and knowledge but is more feasible long term than making parts for gas or diesel engines. For gas and diesel engines the best option would be the storage of several engine rebuild kits. A steam engine used to power an automotive type alternator would be the simplest generating system. An alternator only has a few parts that will wear out over time and can be repaired by an individual. The bearings, brushes and voltage regulator can be stocked in depth and provide many years of replacement parts. The type of long term system used will depend on many factors and the abilities of the operator. One interesting note on steam engines is that many gasoline engines are capable of being converted into steam engines. Gasoline engines are actually just a converted steam engine. Some internal changes are needed but are well within the capabilities of a do-it-yourselfer. One thing that must be taken into account for long term use of generators and motors is the lubricant needs of these items. It may be possible to store many years of fuel and spare parts but without a sufficient supply of oil and lubricants these items would soon become unusable. A small solar array, a small wind turbine, a thermoelectric generator and a set of nickel iron batteries can provide you with decades of power for a small off grid home. A power inverter is necessary if you intend to power any 120v AC appliances but if you stick to 12v DC appliances you can avoid the need for an inverter. The less equipment you need, the fewer weak links you will have in your system. A solar array for sunny days, a wind turbine for windy days and a thermoelectric generator powered by a wood stove can keep your batteries sufficiently charged. The nickel-iron batteries can last literally a century and only need the electrolyte changed every 10 to 20 years. Thermoelectric modules will last up to 200,000 hours of use. This system is not cheap but is very durable. There are many types of systems you can set up depending on your resources. The best system for you is one you research and plan and determine will work best for your situation. Every situation and everyone’s needs are different so these things must be taken into account before you sped a lot of money on components. With the many options available to you, you should be able to design a system that is cost effective and dependable for you. In the coming years it is inevitable that energy prices will climb substantially rendering electrical power out of the reach of many people. The use of electricity is not necessary but will provide you with a better standard of living and more capabilities. Now is the time for you to evaluate the way you acquire and use power to avoid problems in the future that may leave you in want of basic needs. Whether you are thinking about moving off the grid or are concerned about a grid down scenario, the need for power production equipment can lead you in many directions depending on what you need. Many of the modern day conveniences we take for granted can be eliminated without causing serious deprivation but some things are beneficial to your standard of living. The need for refrigeration, water pumping and lighting are among those things that make life much easier if they can be done at the flick of a switch. While even these things can be performed with non-electric means with the proper planning, they free up time and energy for other things. When planning for off grid/grid down operations you need to consider what your absolute needs are. While you may need power under both of these situations, the systems will have some subtle differences. The major difference will be the duration of grid down time. A short duration will require much less energy production capability in the form of liquid fuel storage. For a short duration power failure you may only need alternative power for a few days. This will require less fuel reserves and less equipment overall. While a plan to deal with a long term power situation will work for short term situations the opposite is not true. A more robust and self sustaining system is needed for long term use. There are certain components you need to consider when building an energy system. In a short term power situation you may opt to rely on a generator as many do. The generator will need a fuel supply that you must have on hand. The loss of power will prevent the purchase of fuel locally so this must be taken into account when this type of plan is devised. With a generator there are five negative aspects that must be taken into account. The generator must be used in a well ventilated place which opens up the possibility of it being stolen. A generator is noisy which will advertise the fact to your neighbors that you have resources they may not. A generator needs a constant supply of fuel that must be stored on site and last throughout the situation. A generator will only provide power while it is running. A generator has many electrical components that can fail at any time and prevent power production such as the coil, spark plug or control panel. For a temporary power disruption these things might not present a problem but under prolonged disruptions, it could cause serious friction within your neighborhood unless you live in a remote location. The longer your neighbors have to live without power the more they may come to resent you for being prepared. It is for these reasons that alternate methods may serve you better. With an engine of some sort to produce electrical power you will need a fuel source which could become a weak link in your plan over time. Unless you have the ability to produce the fuel you need, you may want to develop other options for prolonged use. The use of solar and wind present viable options for long term use while eliminating the need to store a fuel source. These systems can be the foundation of a multi platform production capability. The use of a power driven generator can provide good backup capability for this type of system, reducing the fuel needs of this type of device. With a power generator there are six viable options for fuel. You can use gasoline, diesel, propane, natural gas, alcohol or wood gas. The use of natural gas and alcohol fuels are options but are not as readily available in many locations. Gasoline and diesel will require a large tank and the addition of fuel stabilizer for long term storage. Propane will store indefinitely but will also require a large supply on site. Wood gas can be used and the wood fuel produced from locally available sources. For long term viability, wood gas or alcohol would be the best options for local fuel production. Bio diesel produced from soybeans is also an option for self sufficiency. Information on alcohol and bio diesel production can be found in Brown’s alcohol motor fuel cookbook. With a solar or wind system you eliminate many of the negative features of a power generator. These systems are quiet, non polluting, require no stored fuel supply and have minimal parts that can fail making them very durable. These devices charge a battery bank that can supply power even when the devices are not producing any power providing the ability of uninterrupted power for limited uses. With a battery pack you also need a power inverter to convert the 12v DC power into 120v AC power that household appliances can use. One way to get around the expense of a power generator is to build your own. If you are using a battery pack for energy storage it may be more efficient to use a homemade generator to charge it. By combining a 3 hp motor with a car alternator, you can produce 12v power and charge your batteries. Depending on how much power you require you may be able to run your motor just 2 or 3 hours a day and have uninterrupted power around the clock. This could make the necessity of storing fuel much easier. Where you might need 5 to 8 gallons of fuel a day for a typical generator, a homemade unit charging a battery pack may only consume ½ gallon a day. A typical alternator produces around 1,000 watts of power so producing and storing 2 or 3 KWH of power in a few hours is possible. A large deep cycle battery can hold about 1 KWH of power. A typical refrigerator/freezer or small deep freezer will use about 1.1 to 1.3 KWH of power a day so an hour and a half of run time can power your freezer for 24 hrs. The advantages of this type of system quickly become apparent. Even if you only have the homemade generator, inverter and several batteries, you could have continuous power for almost 2 weeks on the fuel needed by a conventional generator in one day.